Nursing as a career has always been rewarding, from a financial standpoint as well as from a personal one. Nurses have the opportunity to give comfort and assistance to those who are in pain or suffering. Yet like every other state across America, Missouri is still experiencing a shortage in appropriately trained nurses. The wide variety of nurse schools and nursing programs throughout the state make Missouri a great place to get your education. 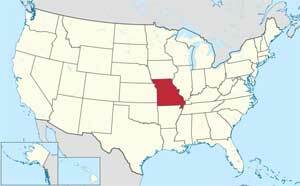 Missouri is also a compact state which gives you greater flexibility for employment options. LPNs in Missouri make up approximately 23% of the state’s nurses. There are 40 accredited LPN programs in the state, and they take between 9 months to one year to complete. Areas of study include basic nursing, anatomy and pharmacology. Once you have completed your program then you can take the NCLEX-PN exam. Licensed Practical Nurses in Missouri perform a wide variety of duties depending on where they are employed but in general, an LPN can be expected to take patient histories, administer medications, and assist both physicians and RNs with basic procedures and exams. They provide help in developing treatment plans for patients, feeding, bathing and many other responsibilities. According to the Missouri State Board of Nursing, Missouri has one hospital based RN degree program at St. Alexius. This particular program has been in existence for over 100 years. There are 35 accredited Associated Degree (ADN) in nursing programs offered in Missouri at colleges and technical schools. The ADN program is an average of two years in length. You may instead choose to pursue a Bachelor of Science in Nursing (BSN) degree. There are 21 accredited BSN programs that take about four years to complete. Either degree option will allow you to write the NCLEX-RN exam. Registered nurses perform a wide variety of duties including treating medical emergencies, performing diagnostic procedures and administering medication. Missouri will also allow you to be employed as a Graduate Nurse upon course completion. Online degree education in nursing is becoming increasingly popular, especially among those who are already employed but wish to further their education by going LPN-RN, ADN-BSN or even ADN-MSN. Missouri also offers fast tracks in many online programs. Accreditations vary amongst online programs, so you are best to check with the state BON to make sure your choice is approved.